Raffaello Pantucci, “Anjem Choudary was a leader. His conviction will damage terror networks,” Guardian (London), August 17, 2016, https://www.theguardian.com/commentisfree/2016/aug/17/anjem-choudary-conviction-terror-networks. Days before his arrest, Ahmad reportedly expressed his support on Facebook for Roshonara Choudhry, who stabbed Labor MP Stephen Timms in May 2010. Ahmad was sentenced to 12 years in prison in July 2011 for soliciting the murder of British MPs, among other terrorism-related charges.Caroline Davies, “Radical Muslim jailed for calling for jihad against MPs,” Guardian (London), July 29, 2011, https://www.theguardian.com/world/2011/jul/29/radical-muslim-bilal-ahmad-jailed. “What is Islam4UK?,” Telegraph (London), January 4, 2010, http://www.telegraph.co.uk/news/uknews/defence/6931212/What-is-Islam4UK.html. Revolution Muslim—a now-defunct U.S.-based Islamist group and website—was led by convicted Islamist extremist Jesse Morton.“Leader of Revolution Muslim Pleads Guilty to Using Internet to Solicit Murder and Encourage Violent Extremism,” FBI, February 9, 2012, https://archives.fbi.gov/archives/washingtondc/press-releases/2012/leader-of-revolution-muslim-pleads-guilty-to-using-internet-to-solicit-murder-and-encourage-violent-extremism. Morton was later arrested by the FBI and pled guilty in U.S. courts on February 9, 2012, for conspiring to solicit murder, making threatening communications, and using the Internet to place others in fear.“Leader of Revolution Muslims Pleads Guilty to Using Internet to Solicit Murder and Encourage Violent Extremism,” FBI, February 9, 2012, https://archives.fbi.gov/archives/washingtondc/press-releases/2012/leader-of-revolution-muslim-pleads-guilty-to-using-internet-to-solicit-murder-and-encourage-violent-extremism. “Leader of Revolution Muslims Pleads Guilty to Using Internet to Solicit Murder and Encourage Violent Extremism,” FBI, February 9, 2012, https://archives.fbi.gov/archives/washingtondc/press-releases/2012/leader-of-revolution-muslim-pleads-guilty-to-using-internet-to-solicit-murder-and-encourage-violent-extremism. In another post on Morton’s website, Ahmad reportedly referenced a May 2010 knife attack against Labor MP Stephen Timms by Roshonara Choudhry. In the post, he encouraged attackers to target MPs while they were having constituency surgery—or one-on-one meetings—as Choudhry had done with Timms. Ahmad further provided a link to an online knife vendor.Caroline Davies, “Radical Muslim jailed for calling for jihad against MPs,” Guardian (London), July 29, 2011, https://www.theguardian.com/world/2011/jul/29/radical-muslim-bilal-ahmad-jailed. “Blogger who encouraged murder of MPs jailed,” BBC News, July 29, 2011, http://www.bbc.com/news/world-14344199. Authorities sentenced Ahmad to 12 years in prison on July 29, 2011.Caroline Davies, “Radical Muslim jailed for calling for jihad against MPs,” Guardian (London), July 29, 2011, https://www.theguardian.com/world/2011/jul/29/radical-muslim-bilal-ahmad-jailed. 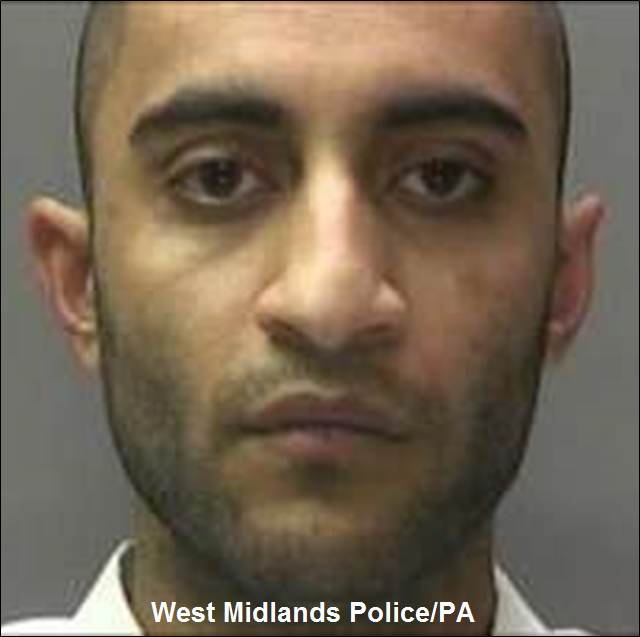 Place of Birth Warwickshire, U.K.
Bilal Zaheer Ahmad is a British-Pakistani dual citizen and a convicted Islamist incarcerated in the United Kingdom. “Raise the knife of jihad.” (Revolutionmuslim.com)Caroline Davies, “Radical Muslim jailed for calling for jihad against MPs,” Guardian (London), July 29, 2011, https://www.theguardian.com/world/2011/jul/29/radical-muslim-bilal-ahmad-jailed. “This sister has put us men to shame. WE SHOULD BE DOING THIS.” (Facebook)Caroline Davies, “Radical Muslim jailed for calling for jihad against MPs,” Guardian (London), July 29, 2011, https://www.theguardian.com/world/2011/jul/29/radical-muslim-bilal-ahmad-jailed.